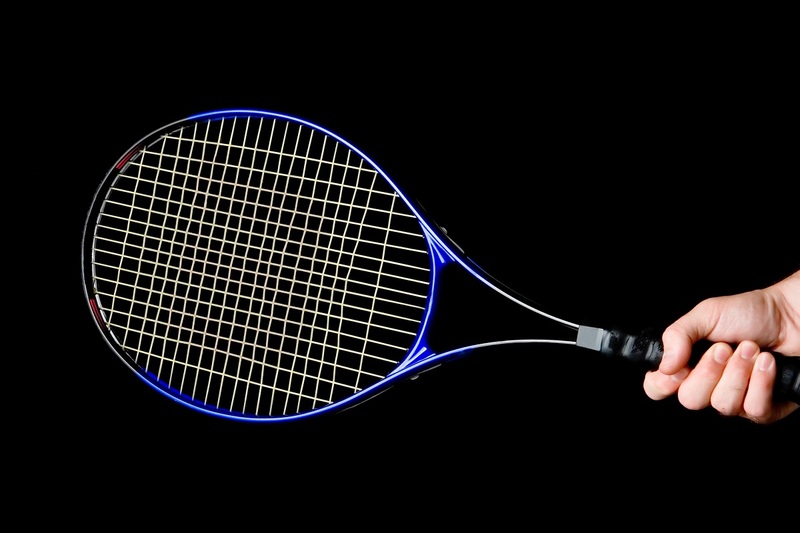 When I first started playing, I can remember getting advice pertaining to keeping a firm grip on the racquet. What I have learned over the years is that if you start with a firm grip in the ready position or prior to the backswing on your shots, you end up with a "death grip" on the racquet. This prevents the natural smoothness that’s desired on your groundstrokes and serve, and can lead to "hands of stone" on your volleys. I suggest keeping an extremely loose grip in the ready position and also before you start your motion on the serve. This will allow your wrist to be involved (another no-no back in the day), and can help you create more racquet head speed. Your grip will naturally firm up as the racquet moves to the ball and this will provide the solid hit that we all hope for. There should be some space between your hand and the racquet-basically only part of your palm and fingers should be touching the grip prior to the forward swing. It is very important that you watch the ball through contact when focusing on this loose grip idea because a miss-hit tends to make you want to hold the racquet even tighter. Try the loose grip idea and you will be surprised at the small amount of effort necessary for your racquet to execute a natural swing pattern.